As I sit here typing today’s blog entry, I’ve just cleared out a bunch of notes that I was so laboriously studying over and over again, just 2 months ago. I’ve started spring cleaning the apartment, clearing out things I no longer need, like that beautiful knee-length, blue-grey jersey dress that is just slightly over a year old but I can’t wear anymore because the collar is over-pulled. Now that I think about it, I should have kept it to convert into a skirt, like what I did to convert my corduroy pants into shorts eons ago. But today’s entry is not about regrettable should haves. Instead, it is about my love for a city, one that is called London. Before further ado, let me just share with you the daily Insta Stories logs that I saved to remember our trip by. I was sick for the first half of our stay, losing my voice and everything (all we managed to do on Day 3 was some slight shopping along Regent Street, Carnaby Street and a quick trip to Liberty). Forget about working out while we were on vacation – all that activewear turned out to be deadweight. London, I am so in love with you. Despite the cold weather and the crazy trip it took us to get there from Paris (think crowds, delays, missed trains and confusion), once we were there, everything was AMAZING. Harrods was such a great introduction to your city, the food is SO satisfying, the people are SO welcoming (You guys speak my language and nobody once gave me a “You speak very good English” speech! ); the cold is cold and the rain makes everything gloomy but we all suffer together. And in so many ways, London is just like Singapore – but better. Your roads are so easy to navigate, the drivers are on the right, people queue for stuff, people are respectful – you are nothing like those British brats that made the news here some years back because they were rude and disrespectful to an elderly trishaw rider. I can find all sorts of cuisine here and the people come from all over the world, and in these ways, I feel like I’m home. Your public transport is so convenient – use any form of contactless payment to tap in and out of trains, and there isn’t even a need to tap out of buses. There is a maximum cutoff of £4.50 per day on public transport so we don’t have to spend more on commute, and during the night between New Year’s Eve and New Year’s Day, you offered free rides till the wee hours of the morning for everyone! That’s how I know I’m in a city that is also a part of its people. Because we never ended up buying a pack of those streetside caramelised nuts, nor any pound cakes in Borough Market, we didn’t have to get cash during our stay, relying only on our credit cards (excluding the one time I had a sudden desperate need to access the public washroom for £0.80. I’ve not seen everything that you have to offer, partly due to me having to stay in bed, but our one-week visit was definitely not enough. I am already missing the white houses along Kensington’s streets, Regent Street, the Harry Potter studio and restaurants that close at 11pm. 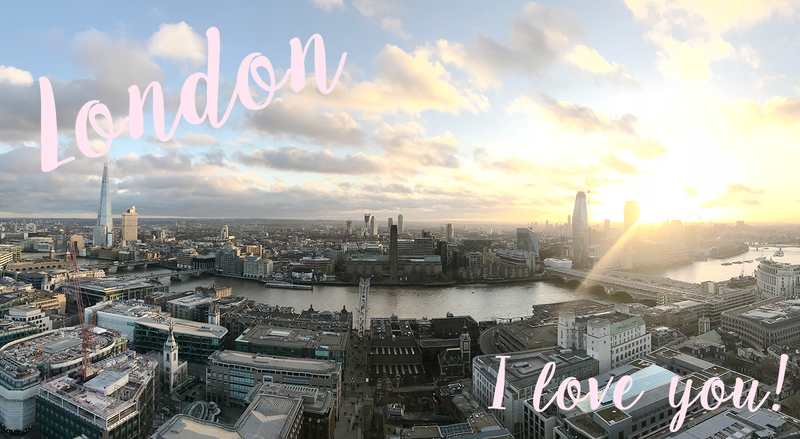 London Diaries – I Will be Back! was last modified: January 11th, 2018 by Roxanne C.